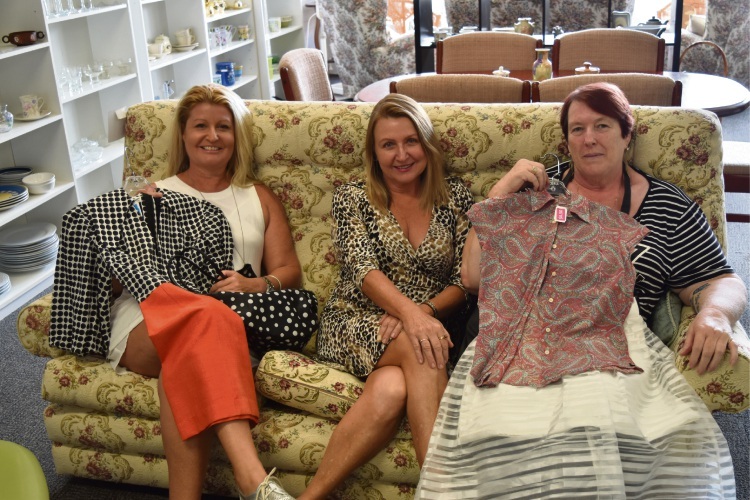 A NOT-for-profit organisation has joined the Morley op shop scene after officially launching its fifth store yesterday. The Guildford-based organisation People Who Care provides community care and practical support services for people across the Perth metropolitan area and the South-West. Profits raised from the new op shop, Goodness Me Recycle store, will go towards the organisation’s Community Crisis and Power a Pensioner programs. Chief executive Alison White said the store would also bolster the Level Up program, which assisted people with employment barriers to become more “job-ready”. Corporate engagement manager Anne-Marie Denney said customers could buy items including furniture, homewares, books, clothing and shoes at the store. “We work with people in need that includes people with disabilities, aged people and Aboriginal communities,” she said. Op shop manager May Bowden said the organisation did not want to add to landfill. “Goodness Me – I think what it represents is that we would like people who are struggling to shop here and have a pleasant experience,” she said. “We believe when people are in struggle street, they don’t have to have to dig in bins and be reduced to that kind of shopping. For more information, visit http://peoplewhocare.org.au/social-enterprise/op-shop/.